I've tried out A LOT of self tanning products and these are my favorites so far. 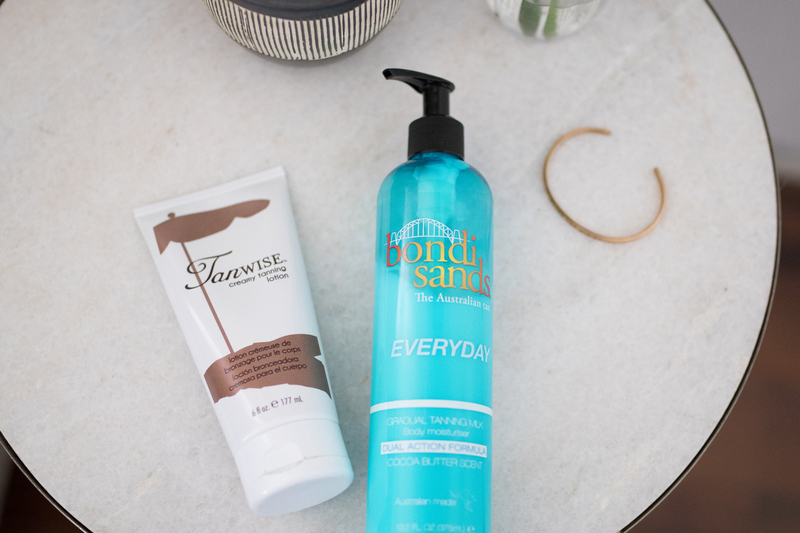 Only one of these products was gifted, which I'll note below, but basically I've spent a lot of my own money over the years searching for my favorite tanning products! As a disclaimer I have not tried St. Tropez or Loving Tan products yet. I really want to but they're so pricey that I just haven't gotten around to it yet! If I had to pick one absolute favorite tanning product it would be this. At around $12 a bottle it's super affordable and you can pick it up at any Sally Beauty Supply. I use these mitts to apply, which I think is essential! I find that the best time to apply is after you've dried off from an evening shower. After I apply it I finish getting ready for bed while it dries. Then first thing in the morning I like to hop in the shower for a 30 second rinse to rinse off the top layer. In my opinion this washes off any splotches or any extra product from it developing. Then just pat dry with a non-white towel and apply lotion. You'll be so bronzy and it lasts for several days! When I shower again and still have color from this I don't use a scrub or loofah and instead use a gentle wash or soap so that I'm not scrubbing off all of my color. You can then apply again to darken your color even more or you can just leave your tan alone and you should still have a good amount of color! Several friends and family members of mine use this stuff and love it! I think it's amazing, especially for the price, and it doesn't smell bad at all. This is very similar and a close runner up to the Tanwise, and you can buy it at Ulta for about the same price at the Tanwise. I'll buy this one if I make it to an Ulta before a Sally Beauty store. I follow all of the same steps/tips as the Tanwise. I don't think it's *quite* as flawless application-wise but it's still pretty darn good! Not to be confused with the Tanwise lotion above, this one is more of a gradual tanner. However, my main use for it is to help extend my tan when I use the tanners above! I find that using this one or the Bondi Sands one makes a big difference, especially because self tanners can really dry out your skin. This has a little bit of tint to it, which helps to gently add to your color while also moisturizing. I like the smell of this one better than the Bondi Sands one below, but I think they both work just as well! I also use this product to extend my other tanning products and it's great for that! It also has SPF 15, which is a really nice added benefit. It has aloe vera and vitamin E, which makes it nice and moisturizing, but it definitely also has a strong coco butter smell, which took me a little bit to get used to. I would like to try some of the other Bondi Sands products! Their foam/mousse is supposed to be great as well. These are so handy and I like that I can get them at Walmart, Target or any drug store. 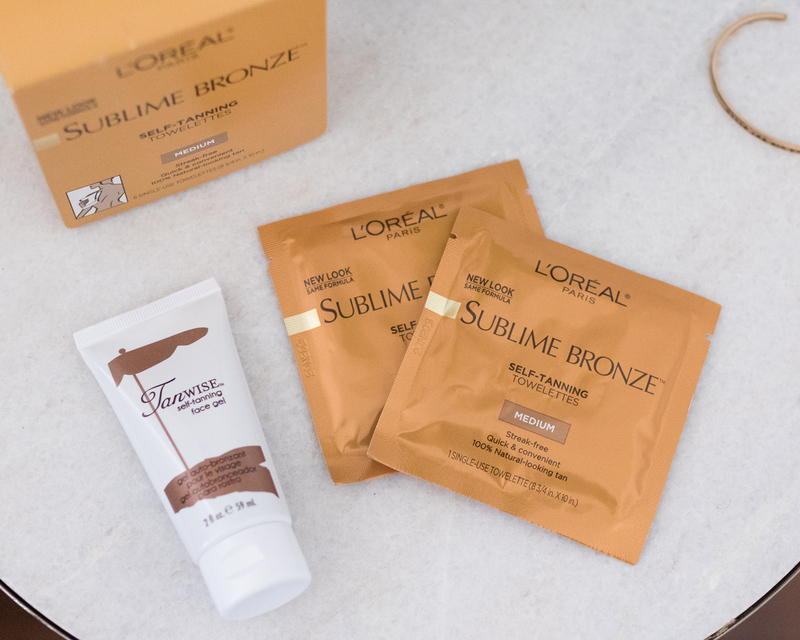 They have a little bit more of an orange tone than all of the other products so I don't like to use these on their own, but what I do like them for is to extend my base tan when I'm traveling. If you have other self tanner on as a base tan, then these towelettes are great to touch up with a couple of days later in a quick, mess-free way. Unfortunately you can't really see the color go on, so you just have to keep track of where you've been and you have to be pretty thorough. And definitely wash your hands right after! I hope you found this post helpful! I would LOVE to know your favorite self-tanning products and tips! 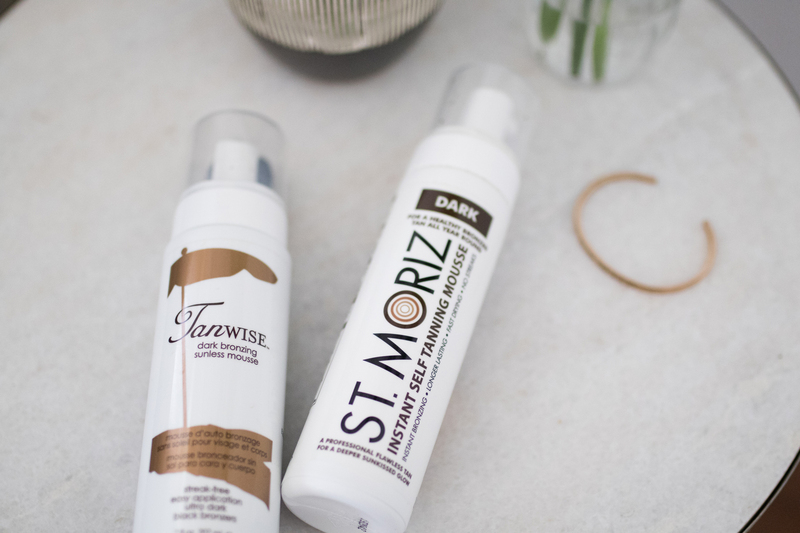 I'm always looking for new products to try out, but I will say that I've used Tanwise products for quite a while and love them all (as you can see from me having 4 in this post haha)! Also a quick shopping tip... Sally Beauty often has buy one get one 50% off deals and other sales with Tanwise products!